5. Neuschwanstein Castle – Adolf Hitler. Pretty breathtaking. But we’d argue that you’ll be more blown away by the artist, Adolf Hitler. 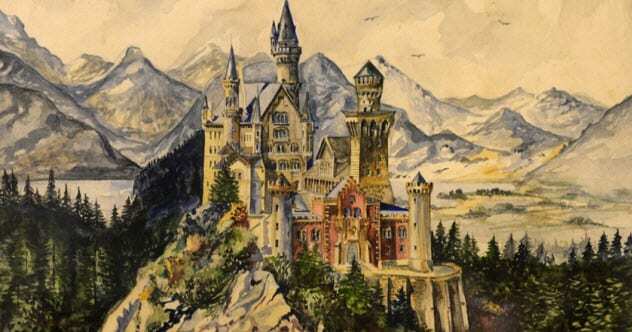 This particular painting of Neuschwanstein Castle in Bavaria sold for £71,500 in 2015 with questionable morality. In Mein Kampf, Hitler said he had aspired to become an artist at the Academy of Fine Arts Vienna in his youth.